Learn how to use Android from beginner level to advanced techniques which is taught by experienced working professionals. With our Android Training in Bangalore you’ll learn concepts in expert level with practical manner. Our Android Training in Bangalore aims to teach beginners and employees. Android is the fastest growing smart phone OS in the world today. Currently, Android has a market share of 57% in the worldwide smart phone market. Android programming language is backed and developed by Google and Open Handset Alliance (a consortium of 84 firms). The number of handsets running on Android increases by 21000 fresh and new installs per day and that is good enough reason for one to start developing applications and games for that market / audience. By learning the trending technology like Android anyone can get a easy job in IT. 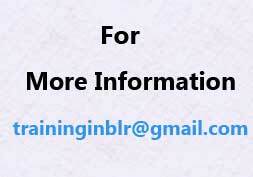 We are the Best Android Training Institute in Bangalore. Android is in its nascent stage of development and it will get stabilized with a couple of years. Android Training in Bangalore provided by some of the IT industries top experts. Learning a programming language which is sure to dominate the smart phone market in the coming years is like earning in gold and storing it for future use. Anyone getting trained in Android now will have the first mover advantage and many corporate giants are yet to enter the App market as a mainstream business. Once the corporate heavyweights start to flex their muscles against each other in mobile phone market, anyone trained in Android / iOS will be in very high demand in the mobile app development industry.